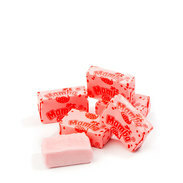 Mamba chews have been popular with children and adults alike for over 60 years. The delicious fruity chew treats are available in a range of tasty varieties, and the practical packs are also great for sharing. What is your favourite flavour? Super Novelty on Mamba Island: Gummies Mamba Frumeladki! 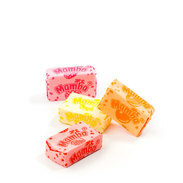 If you like fruit gummies, then you will definitely love Mamba Frumeladki! 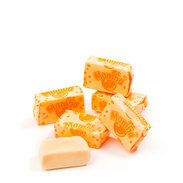 They are fruit gummies with fruit juice and vitamins. A flight of imagination and never ending fun for you and your friends with the new Mamba Frumeladki! 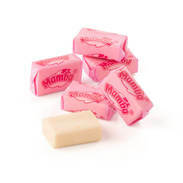 Mamba stands for fruit-flavoured chewing fun in tasty varieties: Strawberry, Raspberry, Orange, and Cherry. The fruit treat that is perfect for sharing and passing around! 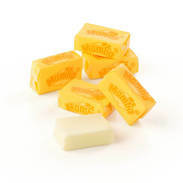 Each bar contains four individually wrapped packs of six chews. 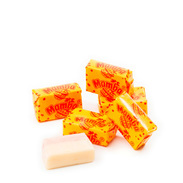 Mamba 2 in 1 is tasty chewing fun with a twist. It comes in four two-fruit varieties: Watermelon and Apple, Raspberry and Peaches, Cherry and Banana, and Blackcurrant and Lime. 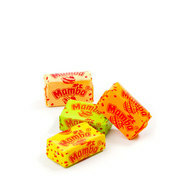 Mamba Tropics is a delicious mix of tropical fruits: Mango-Orange, Pineapple-Coconut, Peach-Passion Fruit, Kiwi-Apple! 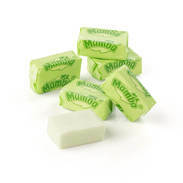 Mamba Frumeladki are fruit gums made with fruit juice and vitamins. 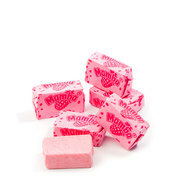 They are available in three different tasty varieties: Fruit mix, Fruit & Yoghurt, Softies. In 2014 Mamba triumphantly returned to the Russian TV screens with a new TV advertising campaign "The Island" ! Mamba is a modern and dynamic brand, that keeps up with the times! With Mamba even the most boring moments are transformed into fun & adventure! 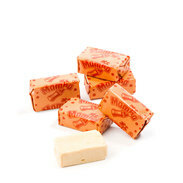 Mamba chewy candy started its career in Russia in 1993. 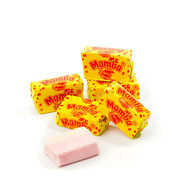 Sinse that time Mamba brings lots of joy to its consumers by its great taste and high level quality standarts. The advertising campaign "Everybody likes Mamba! And Serezha too!" became one of the brightest symbols of the 90s and would be forever in the hearts of the audience! Since that time Mamba never stops bringing joy and surprises to the Russian consumers: the ingredients, flavors and packaging are constantly being updated, and quality standards are always at the high level! Mamba chewy candy started its career in Germany in 1953. The tastiness, and also the affordable price, makes the small packs of Mamba with six chews each an immediate hit.